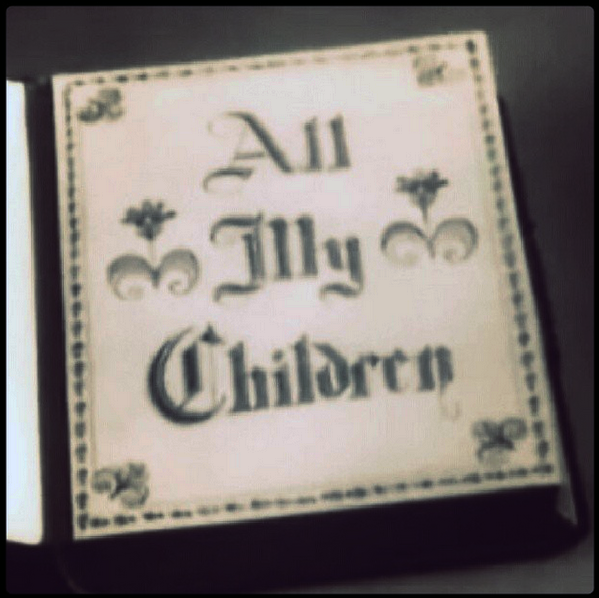 1970: All My Children premiered on ABC. 1953: Ellen Demming made her first appearance as Meta Bauer White Roberts on both the television and radio versions of The Guiding Light. Demming played the role until 1974. 1965: On Another World, Dru (Geoffrey Lumb) assured John (Michael M. Ryan) he had done everything he could for Pat, whose trial was about to begin. 1970: ABC premiered Agnes Nixon's daytime soap opera All My Children. It ran for over 41 years on on the network, ending after 10,712 episodes on September 23, 2011. Original cast member Susan Lucci stayed with the soap for its entire run. Ray MacDonnell, another original member of the cast, returned for the show's final week on ABC. The rights to All My Children were licensed by Prospect Park, who brought the show back on April 29, 2013 for one season on Hulu, HuluPlus and iTunes (as well as repeats on OWN). 1972: On The Edge of Night, Ron (Burt Douglas) met with Nicole (Maeve McGuire) to talk about opening his own PR firm. Vic (Ted Tinling) spotted Nicole and Ron and misconstrued their intimate lunch. 1976: Syndicated soap opera parody Mary Hartman, Mary Hartman premiered. The series was produced by Norman Lear, and starred Louise Lasser as Mary Hartman. 1978: Mary Carney debuted as Mary Ryan on Ryan's Hopere, placing Kate Mulgrew. 1984: On Knots Landing, Mack (Kevin Dobson) had Karen (Michele Lee) admitted to a hospital chemical dependency program even though Karen denied she had a problem. Meanwhile, Greg Sumner (William Devane) won the primary race. 1987: On As the World Turns, Frannie Hughes (Julianne Moore) was anxious to find Sabrina (Julianne Moore). 1987: Rick Edwards made his first appearance as Jake Morton in Santa Barbara. Ted Capwell (Todd McKee) met Jake at the Abernathy stables. Jake left Santa Barbara on April 22, 1988 to become a model in New York. 1988: On Another World, Rachel (Victoria) congratulated Jason (Chris Robinson) after he bought the Frame farm for $200,000 at an auction. 1990: All My Children celebrated its 20th anniversary. 1996: On One Life to Live, Blair (Kassie DePaiva) needed an emergency C-section. 2004: On Passions, Dr. Ackland (Roark Critchlow) arrived at Sheridan's (McKenzie Westmore) to take her back to the psych ward. 2005: Ruth Warrick appeared for the last time on All My Children as Phoebe Wallingford. Warrick passed away 5 days later on January 10, 2005. Thanks to Ann for sending in the item above. Actress Jane Wyman, who played Angela Channing on Falcon Crest in the 1980s, was born on this day in 1917. She passed away in 2007 at age 90.